(Ausled) - A Large, strong-growing shrub for a position further back in the garden that can be trained as a climber. 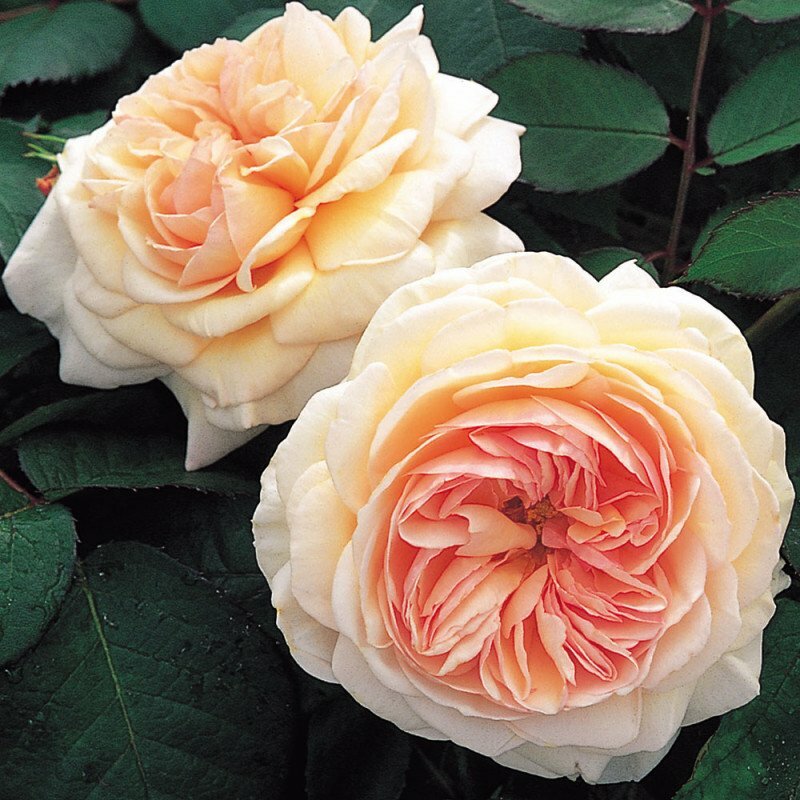 The fully double, large blooms of soft peachy-pink have a slightly cupped, rosette formation. Vigorous, healthy growth and large, glossy foliage. Very fruity fragrance. Almost thornless. 2m tall x 1.5m wide. 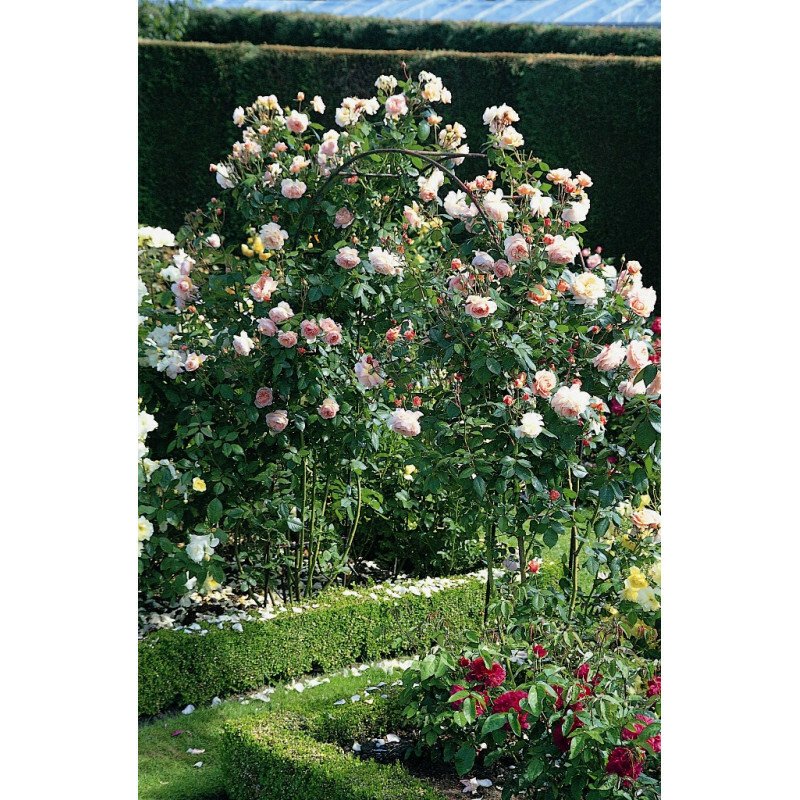 Can be used as a Patio Climber.